The design of the Yale lock makes it a popular choice with property owners and locksmiths alike. A Yale lock is commonly known as a pin tumbler lock. 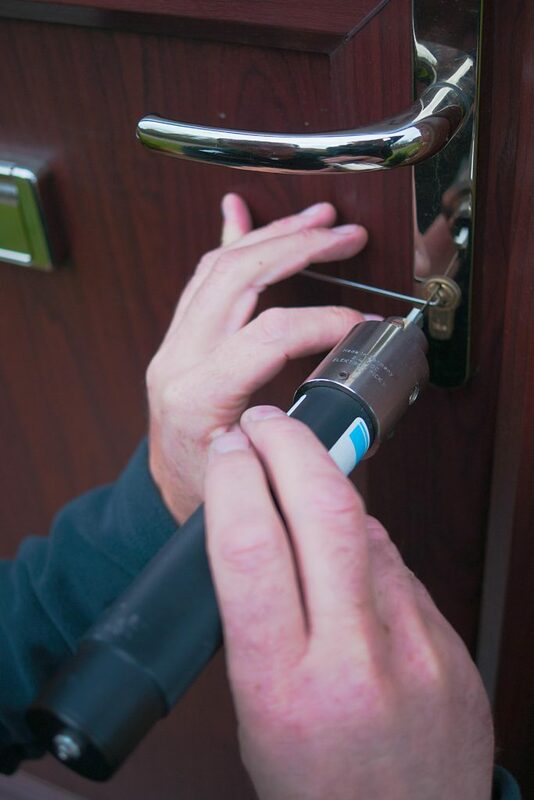 One of the reasons they are so popular with Locksmiths is that the internal cylinder can be changed without the need to alter the boltwork hardware. Another reason is that the cylinder can also easily be unscrewed by the locksmith for re-keying. This action requires loosening a set screw, then sliding the cylinder from the boltwork. The Yale Lock also has another advantage in that you can obtain the cylinders in different formats from lock manufacturers that can all use the same key. The benefit here is that it allows the user to have the flexibility of being able to use master key systems. These systems incorporate a wide variety of different locks such as night latches, deadbolts and roller door locks. The commercial and domestic usage of the Yale lock is known throughout the world. The system is commonly seen globally as the most popular and the most well known lock. A lot of this is down to the design of the Yale lock and the flexibility of its usage. The popularity of the Yale lock is set to continue into the future as well with new innovations that incorporate digital technology. Two years ago, Yale announced a residential door lock that uses Bluetooth technology and works wirelessly using digital keys on a smartphone. The system incorporates both iOS and Android. Users can simply select the key they need to open the door and hold their smartphone to the lock and this will open the door. To find out more about the versatility and design of the Yale Lock, ring Stephen direct on 0114 345 0145 if you are in the Sheffield area.